Just because Christmas is over, that doesn't mean the magic of winter is. Travel experts Mr & Mrs Smith have compiled a list of the freshest hotels for winter wonderland-style getaways. From the ski slopes of Niseko to the snow-dusted canals of Amsterdam, each of these smart and seasonal hideaways are not to be missed. Japan is famous for its discreet elegance, and you can see why at hotels like the heavenly Zaborin on Japan’s northernmost island. Nothing is too in-your-face, but as soon as you look for it, everything you need is right there. 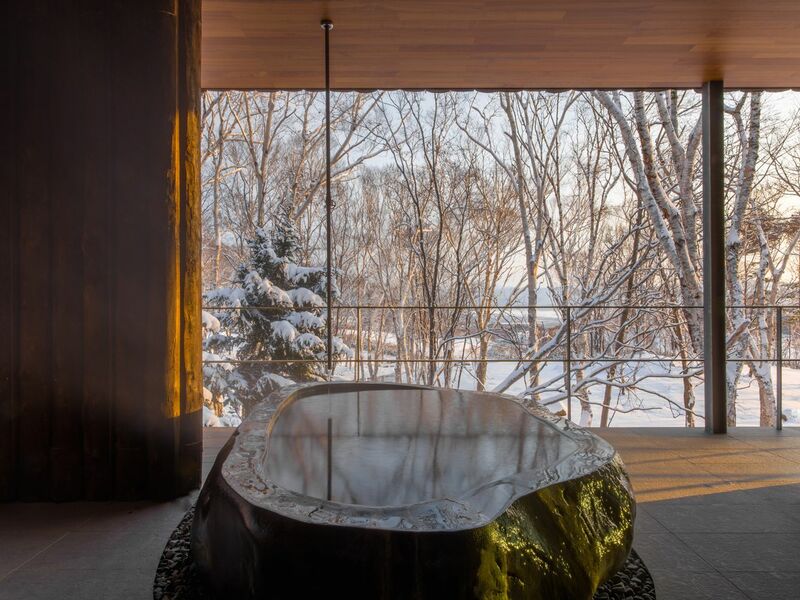 For instance, your secluded villa – on the doorstep of some of Asia’s finest ski slopes – has its own indoor and outdoor onsen bath filled with the purest volcanic water, from which you can enjoy frosty meadow and forest views. Smith Extra: A half bottle of local sake from Niseko brewery . This revamped rustic inn has its terrific owners to thank for its vintage-sweetheart styling and Nordic-inspired breakfasts (Tim used to be a chef; Eliza picked the covetable fittings and furnishings). But those rugged, blue-grey mountains of the Catskills? That was all Mother Nature’s doing. We’re not allowed to have favourites – but if we were, they’d look a lot like Foxfire Mountain House. Smith Extra: The hotel’s signature, locally made soy candle, with a scent inspired by the surroundings . The latest in the litter of the Pig hotel group is a masterfully made-over country pile featuring a statement restaurant, pristine grounds and some fine Arabian horses for neighbours. The kitchen gardens grow 12 types of mint, seafood only has to travel eight miles up from the coast, and while you wait for dinner you’re free to release your inner eight-year-old on swings suspended from the grounds’ giant cedars. Rooms in the main house are as well-heeled as you’d expect, but for a more wintery, rustic option – including a redesigned original horsebox – choose one of the stable-yard suites. Smith Extra: A bottle of the hotel’s own-brand wine in your room on arrival. Japan’s winters are cold, but the country is blessed with some of the most spectacular and soothing natural hot springs in the world – not least at Amanemu hotel in Ise-Shima National Park. Built around thermal onsen, the hotel channels volcanic mineral water into the tubs in each spacious, minimalist room, as well as using it in spa treatments. Set within a forest overlooking pearl-studded Ago Bay, the buildings are inspired by classic Japanese ryokan traditions, using organic materials in harmony with the surroundings. Drink it all in from your vantage in the restaurant, serving local spiny lobster, marbled Wagyu beef and foraged herbs. This reinvented Dutch masterpiece is set within 25 linked canal houses dating back to the 17th century. Its historic beamed ceilings, fireplaces and antiques are enriched by contemporary art and Dutch design, all set within the Unesco-protected Canal Ring. Take in the canalside architecture from the hotel’s vintage boat or get a teaser of Amsterdam’s renowned museums in Pulitzer’s Collectors Suites, each decorated with impressive collections of art, antiques, books and music. Smith Extra: Dutch caramel waffles, a tulip, jam in a Van Gogh jar and a personalised welcome note. If you're yet to be convinced, these pictures will do the trick. With Mr & Mrs Smith you’ll enjoy their best-price guarantee, as well as a little something extra on arrival at every hotel. To book, visit mrandmrssmith.com.